New outstanding events, contests, guns and celebrity access combine with stunts, bike shows, live music, demo rides, free fuel, vendors, the Buffalo Chip Garage and more to make the CrossRoads a rally hot spot. 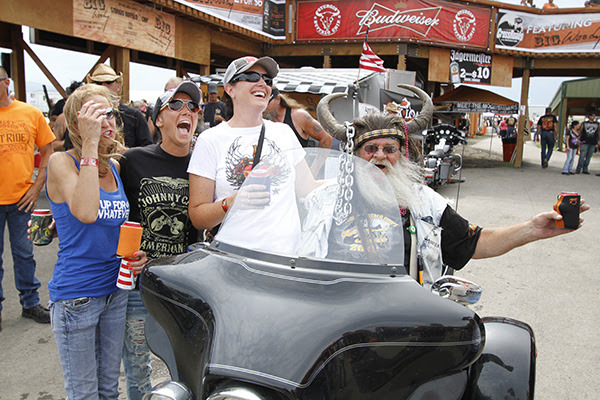 Sturgis, SD – The essential rally experience of visiting the free-access CrossRoads at the west end of the Buffalo Chip is set to offer guests a largely expanded variety of exciting new events, vendor shopping, attractions and entertainment Friday, Aug. 3 – Sunday, Aug. 12, 2018. 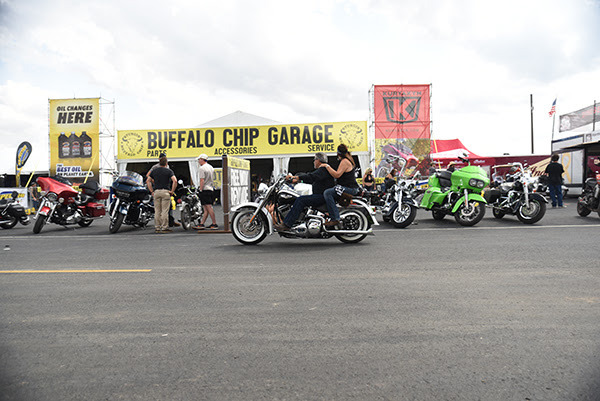 Guests will get a free taste of the Buffalo Chip with acres of paved retail shopping, plenty of free bike and car parking, OEM and custom bike displays and demo rides, stunts shows, bike shows, military tributes, free fuel, bikini bike wash, live music, tasty food, $2 beers, $3 wells, clean bathrooms and more. For those looking for motorcycle tires, parts and accessories, a tune up or a trick out, a trip to the Buffalo Chip Garage will inspire. Experience shopping with a shot of adrenaline at Sturgis Guns’ all new permanent store and Lucas Oil Outdoor indoor firing range. Also new in 2018, a mullet contest, Blade Aces knife throwing contest, and a world-class tattoo contest presented by Sailor Jerry and organized by Shaun Kama who has opened a second Tattoo Café location at the CrossRoads. Paul Teutul Jr. of DISCOVERY’s “American Chopper,” stars of History’s “Counting Cars” and Academy Award-nominated actor Tom Berenger will be on hand to sign autographs. AMA Supermoto Races will take to the new free-access CrossRoads track on Friday, Aug. 10 and Saturday, Aug. 11 and moto celebrity Mickey Diamond will be signing autographs and showing the movie “Any Given Sunday” in the CrossRoads Bar on Thursday, Aug. 9. The Buffalo Chip Garage will open on Friday, Aug. 3, offering affordable parts, expert service and must-have motorcycle merchandise. Those who buy a rear Continental Tire will get the front free. Indian Motorcycles will be on hand to offer a free loaner to those who make a purchase of $500 or more. Appointments for Indian loaner bikes are recommended. Shoppers will find a parts paradise, can run a dyno test at the Harmonius Dyno Center, and upgrade their rides with a variety of hot plug-ins. Free displays of beastly beauties will be a near daily occurrence at the CrossRoads. Fan Fest, exciting entertainment, obnoxious games, gorgeous girls and generous giveaways, 12 – 1:30 p.m. Sunday, Aug. 5 on the JVC CrossRoads Stage. The free concierge service will also be open to assist all bikers with information, load them up with free swag and help them get entered into the Moto Stampede Bike Giveaway. One lucky winner will take home an Indian Scout Sixty customized by J&P Cycles.